Award winning director Udayakantha Warnasuriya and reputed producer turned director Dhammika Siriwardena who enthralled the audience with their Pooja - Roshan starred `Aasai Mang Piyambanna’ more than a year back have returned with a new production, `Paaya Enna Hiru Se’. The movie began unspooling at Savoy, Wellawatta and EAP theatres islandwide from May 22. 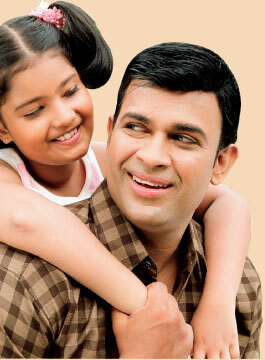 Popular actor Ranjan Ramanayake takes on dual roles in the movie which introduces Udari Warnakulasooriya to cinema. Other characters are taken up by Sriyantha Mendis, Rathnavali Kekunawela, Tharuka Wijeratne, Pubudu Chathuranga, Bimal Jayakody, Geetha Ranasinghe, Chanchala Warnasuriya, Srimath Indrajith Liyanage, Panduka Sri Dayan, Udani Liyanage, Norman Palihawadana and others. Suren is a widower who lives with his mother and daughter. His daughter, Himasha, pines after her mother and finds solace in the company of her class teacher, Dinali, who bears a striking resemblance to her late mother. Suren and Dinali meet and sparks fly. All seems well when they are united by matrimony. One day as the couple embarks on a journey to visit Dinali’s grandmother, they were attacked by thugs. Suren is killed and Dinal is burdened with a dark secret of keeping his death from his mother and daughter. However before she is able to reveal the truth, Suren returns again, but this time as Suraj. Though Suraj is the mirror image of Suren, he is a shady character. A quick tempered and happy go lucky and worse still he has underworld connections. Dinali is unaware that she was flirting with danger when she requests him to join their family adapting the name Suraj but what seems to be a relationship formed purely on employment basis takes a new turn. The danger heightens when Suraj’s gang realizes that he is missing from their group and begins searching for him. ‘Paaya Enna Hiru Se’ is the fourteenth feature film by Warnasuriya who had made memorable creations like `Mahamera Usata’, `Giniavi Saha Ginikeli’, `Rajya Sevaya Pinisai’ (which won him 10 awards at the Presidential Award Ceremony 2000), `Le Kiri Kandulu’, `Randiyadahara’, `Hiripoda Vessa’, `Ran Kevita’ and many more. This is the director’s fifth production with actor Ramanayaka after creations like `Sagaraya Parada’, `Rosa Wasanthaya’, `Yakada Pihatu’ and `Bahu Bahraya’. “I had Ranjan in my mind for the roles even before I completed the script. There is a lot of action and comedy in the movie and he caters to those demands very well,” Warnasuirya stated on his choice of the lead actor for the movie.He further said that the movie is a simple and entertaining story woven around a family. “One of my goals is to introduce a talented new actor to the industry with each creation. Udari was fortunate to be picked among many who wished to make it to acting through my movies. She is immensely talented and did justice to her role,” he explained also putting in a word for child actress, Tharuka, who did a marvellous job in portraying the lovable character of Suren’s daughter. ‘Paaya Enna Hiru Se’ is the fourth Alankulama Film production of Dhammika Siriwardena who also recently ventured into directing with `Suwanda Danuna Jeewithe’, a movie which had completed work and is ready for release. The plot of the story is by P. Wickramanayake while the cameraman is Ayeshmantha Hettiarachchi. Donald Jayantha is the assistant director; Ravindra Guruge is the editor, Chandana Weerasinghe the art director, Basuru Siriwardena the production manager and Asoka Ariyaratne is the production executive of `Paaya Enna Hiru Se’.